The 365 days must be only days of citizens, but the idea is a good one, Public Council member Anahit Bakhshyan told Aysor.am, asked to refer to the decision of the government to declare last Sunday of April as Day of Citizen. “It sounds nice, Day of Citizen,” Bakhshyan said, hailing the idea. She stressed that schools must be involved in the events on that day as well. 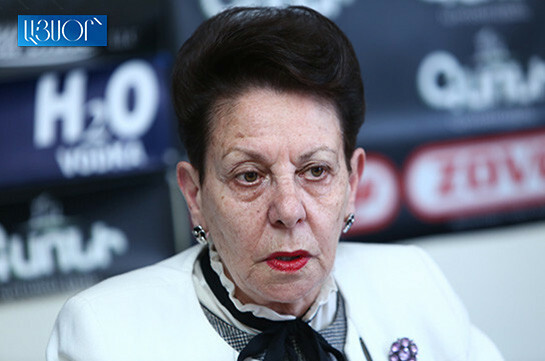 Bakhshyan said that each citizen must understand that day how to live a more dignified life. “I think on that day each citizen must focus on himself-herself, have festive mood and make a decision to live a better life,” she added. «This offer will interest not only new subscribers of IPTV, but also the users of «uTV Select» tariff plan, which includes 54 main channels and enables choosing any additional one for the separate fee. The inclusion of separate channels at separate rates and enjoying the media-content of 120 TV channels at optimal price, are certainly not even comparable», said Hayk Yesayan, the Co-founder and Director General at Ucom. 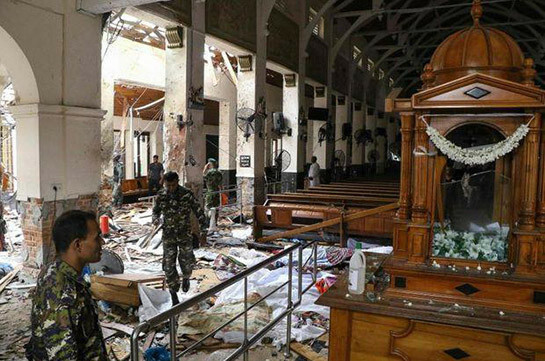 “It is with greatest pain that we learnt about the terrorist acts in Catholic churches of Sri Lanka during the Easter festivities and which took lives of hundreds of innocent people and caused injuries to few thousands,” the Catholcos said in the message, expressing sympathies people of Sri Lanka and strictly condemning the terrorist acts.